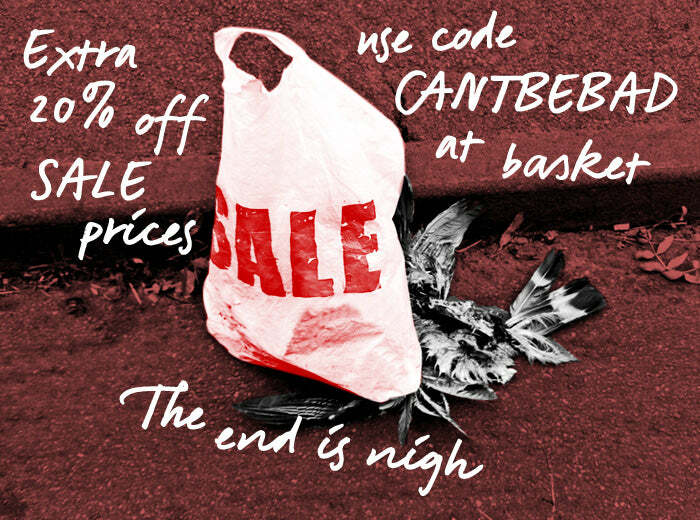 That’s right, the end is in sight… the discounts are now so heavy they crushed one of our feathered friends. A true tragedy. If you’re a magpie. We’re guessing you’re not a magpie, so perhaps it’s just what you wanted to hear? It’s a cruel world. To receive an extra 20% off the sale prices displayed on the site use code CANTBEBAD at the basket stage. If you’ve had your eye on something, now’s the time to snaffle it. PS: no magpies were harmed in the production of this blog post.